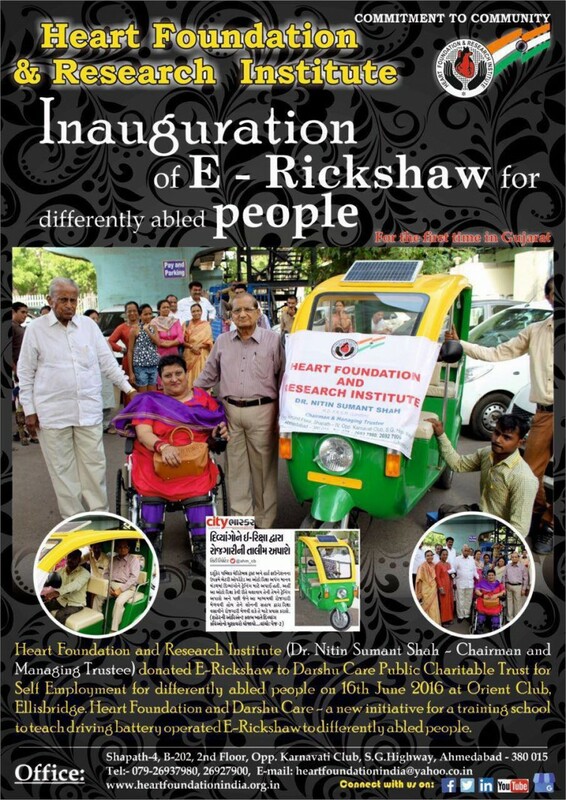 June 16 2016: Ahmedabad based Heart Foundation and Research Center donated E-Rickshaw to Specially Abled Person for the self employment. This solution for Empowerment by Self Employment can be scaled up by more donors extending their support to reduce carbon footprint as well Empower SAP. 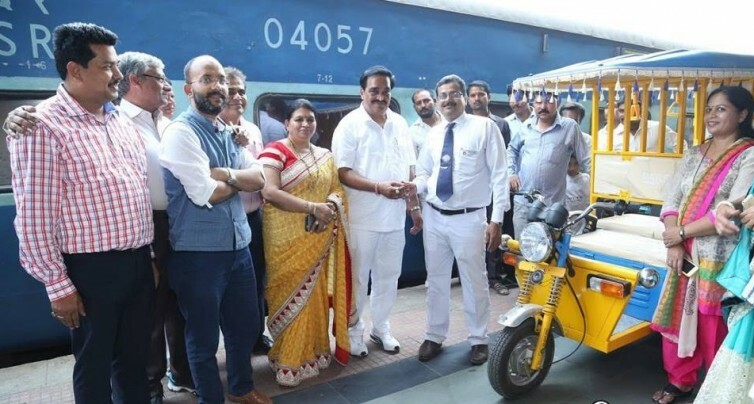 Also Surat Railway station has now E-Rickshaw for helping senior citizens and Specially Abled People as a result of efforts led by VoSAP Adviser Shri Shantanu ji along with Respected Member of Parliament Shri C. R. Patil ji. 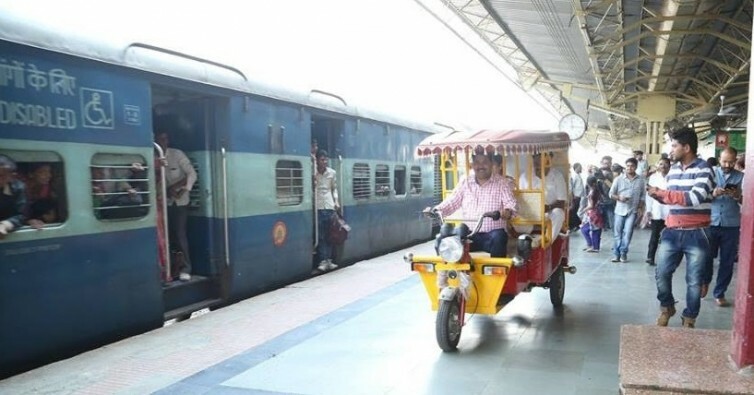 This can be replicated at other Railway stations also.